Jacob’s CreekTM is one of Australia’s leading global wine brands, o ering quality contemporary wine styles with great varietal expression. Having earned over 7,000 medals at wine shows over the last 30 years, Jacob’s Creek wines are trusted by consumers for their genuine quality. Every Jacob’s Creek wine is created with consumers and their evolving tastes in mind. Led by Chief Winemaker Bernard Hickin, great care is taken by each of the skilled and passionate individuals behind the brand, to deliver the highest quality wines possible within each range. 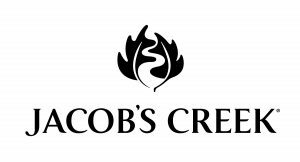 In 2011 Jacob’s Creek was ranked the top Australian wine brand (and third overall) in the World’s Most Admired Wine brands in Drinks International magazine, and was recognised as the world’s most awarded winery* in 2008 by the World Association of Wine-writers and Journalists.